We have entered the most fraught political and social climate I have yet experienced in my lifetime. Having discussed this with several GPers in person it is clear we need to start seriously considering contingency plans, especially for communication. I have had similar conversations with a good friend of mine, Minomie. She is something of a tech guru and kindly offered to write a piece on this subject, reproduced below. If you have any questions Minomie may be able to field them dependent on when the piece goes up. If not feel free to direct them @ me and I will pass them on. In an ‘always on’ world, we take for granted the ability to communicate with each other whenever we want. If, like me, you remember the world before the internet, perhaps you have some idea of what it would be like if this ability was suddenly taken away and you could not communicate at all with your family and friends. Younger readers might find it difficult to imagine a world without text messages, emails or YouTube. Yet in the Seventies, many of us grew up in households without any kind of phone at all. Communicating with schoolfriends in the summer holidays meant going to a red phone box at the end of the street and dialling up their landline on a rotary phone – and then having to surmount the additional barrier of negotiating with your friend’s grumpy parents. There were one or two exceptions to the rule: lively subcultures where immediate communication was possible, where the airwaves were permanently open and people cracked jokes and made friends remotely, often without having met each other: everyone knew at least one person who was a ham radio enthusiast in the Sixties or Seventies. And if you were a long-distance lorry driver, CB would alert you to jams as well as allowing you to chat to your lonely fellow travellers. CB still exists and – one hopes – will see a revival at some point. Few people – especially so-called digital natives – can really imagine what life would be like if some external shock caused our mobile networks to disappear. Yet the possibility of a solar storm knocking out communications for a few days – or even weeks – is distinctly real, as are local network outages caused by local phenomena such as earthquakes or volcano eruptions. And these are just natural events. Governments around the world are becoming more and more authoritarian, struggling to develop strategies to cope with populations who have access to better information than they have ever had before about how they are governed, and who are deciding in increasing numbers that they do not like what they see. In fact, governments worldwide are under attack from multiple factions: from people who are rightfully furious at having their concerns ignored, and also from rootless and violent urban gangs, for whom it takes only one flashpoint to ignite the kind of chaos we saw in London’s 2011 riots. Both political protest and riots are often orchestrated and co-ordinated over Facebook or other social media. For a while, BBM was the chic urban rioter’s communication network of choice. In these circumstances, it is tempting for governments to simply shut down or throttle mobile networks across affected areas, leaving people who are not involved in the riots fearful for their own safety as they try and fail to get in touch with loved ones. Of course, if people still widely used ham radio or CB networks, there would be an easy way to fight back against these tools of control. And, actually, there is a solution staring us in the face. The 21st-century equivalent of providing your own communication network, for you, your friends, neighbours and anyone in the vicinity is called mesh networking. Mesh networks are not new. Cypherpunks, hackers and anarchists have been working on the technology and running workshops at events such as Chaos Communication Camp for the last few years. So, what is a mesh network? Think of the way the internet works, sending packets (units of data, formatted in a particular way) that hop from one device to another until these packets reach their destination. The internet is so vast and complex, that to allow traffic to be routed correctly, it is passed along in a predefined inheritance structure, according to address data that is held in routing tables. This makes the network fast and efficient, but it also means it is subject to interference from companies and governments, and traffic can easily be read and intercepted. A simple mesh network allows people to communicate in areas where there is no mobile network or wifi. It can be completely standalone or if the data packets hop as far as a device that is connected to a wider network, such as the internet, it can allow people within the mesh network to get messages out or in. You can even set up a small one within your own home if you have areas of patchy wifi reception. Distributing nodes around your home will allow blanket wifi coverage of even hard-to-reach areas and is a useful exercise for figuring out how to implement this on a wider scale. There’s a useful guide here. Because these networks do not have a single point of failure (the data hops from one node to the next, usually determined by proximity), if you remove one or more nodes from the network, they will continue to function. So they are difficult for law enforcement to find and shut down. The disabled nodes will simply drop out of the network and the existing nodes will find new peers. So, if there’s a solar storm or other natural disaster that knocks out communications over a wide area, some kind of attempt by a foreign government (or our own) to restrict mobile coverage in certain locations, how would you get in touch with your friends and loved ones to check they are OK and organise emergency responses? Remember, these things can happen suddenly, with no warning at all. This post is not an advert for a particular product, but GoTenna are one of the market leaders in off-grid communication. Their UHF radio pocket devices are popular with climbers and trekkers who are able to communicate with each other and get GPS coverage in areas with no traditional network coverage. If you have several live GoTennas in your neighbourhood, your text message can simply hop from device to device until it reaches a device that is connected to the wider internet. Hence you can easily get communications out of disaster zones and restricted areas as long as you have enough people who are networked. This is not as difficult or far-fetched as it sounds. The typical range of a device is between one and six miles, and in the right conditions (standing on top of a mountain, in optimal atmospheric conditions) it can be up to 50 miles. With only 25 nodes in a three-mile by three-mile area, you’ll get a pretty good local network. There is a map showing current GoTenna coverage here. Of course, you don’t have to use GoTenna, although their devices are cheap and easy to use (they pair with your mobile phone). A group of friends can easily join forces and hack their own local mesh network. You can find a good DIY guide here that just uses Raspberry Pis. But there’s one other feature of GoTenna which is cool, which is their integration with the privacy-focused Samourai Bitcoin Wallet. The TXTenna project allows Bitcoin users to send payments over a local GoTenna network, broadcasting a signed transaction and hopping between up to three devices until it finds an online TxTenna user. As the social network Gab have found out in recent weeks, sometimes there is simply no alternative to Bitcoin in the fight for free speech. Censorship-proof payment systems are important, and the ability to send payments over mesh networks is a welcome development. Payment systems are simply one way that governments and big business can use to censor individuals and organisations whose ideas they don’t like, but censoring by removing internet access via forcing ISPs to deplatform people will be their next weapon. 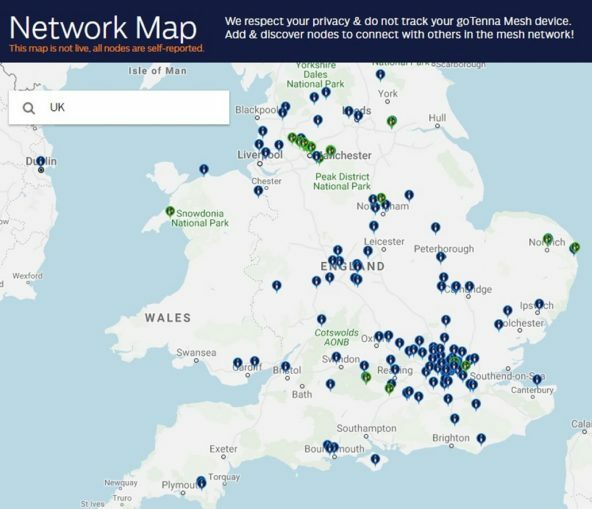 So, mesh networks are a great first step in providing an alternative, uncensored communication layer, and there are organisations working on new and exciting ways to bypass the internet entirely, at least for payments. A company called Blockstream already use satellites to broadcast the Bitcoin network to Earth. Phase one of the project covered Europe, North and South America and Africa, and they have just added coverage for Asia and the Pacific Rim. Along with TxTenna, this satellite initiative reduces Bitcoin’s dependence on the internet. The Samourai team recently revealed on Twitter that they are actively working on a direct integration between TxTenna, Signal and the Blockstream satellite so that people can bypass the internet entirely. But in order to take advantage of all these developments, we can’t just sit on our hands and whinge that we don’t understand technology. Knowledge is power, and the tools to acquire it have never been cheaper and more accessible.